THIS SERVICE PROVIDED SOLELY FOR AORA CUSTOMERS WILL BE SUBJECTED TO THE TERMS AND CONDITIONS SET OUT BELOW. BY USING THIS SERVICE AS AN AORA CUSTOMER, YOU AGREE TO THE FOLLOWING TERMS AND CONDITIONS. "Customer", "You", "Your" and "Yourself" refers to any individual who uses a service found on the AORA website or platform. "Delivery address" refers to your local mailing or delivery address registered with AORA in your AORA profile or any other delivery address as registered at checkout on the AORA website. "Date of Delivery" refers to the date the package has been successfully delivered to the given address in the checkout page or the selected POPStation location. "GST" refers to goods and services tax, which expression includes any tax, by whatever name called, of a similar nature that may be substituted for it or levied in addition to it. "Item", "Package" and "Product" refers to the physical package containing the actual content(s) being shipped or received, as the case may be, by the merchant(s), AORA and yourself, as applicable. "Merchant" refers to any online merchant who ships to an AORA source country and provides the sale of non-prohibited items. "Prohibited Items" refers to items that we and our logistic partners are unable to import and/or export. Refer to our FAQ for a non-exhaustive list of such items. "Shipment" refers to the shipping of the item be it by land, air or sea. All Credit Card payments are processed through Stripe. Please see Stripe for their respective Terms and Condition. You will bear all additional charges for the cost of transaction imposed by your chosen payment gateway provider and/or credit card company. This cost is reflected at AORA’s Checkout page unless stated otherwise. (f) any other charges, if applicable, in order to process the buying and shipping of the item to you. Successful payment does not guarantee that the customer’s order is confirmed. Orders are accepted on a best effort basis by AORA and is only confirmed once they are successfully bought by AORA. 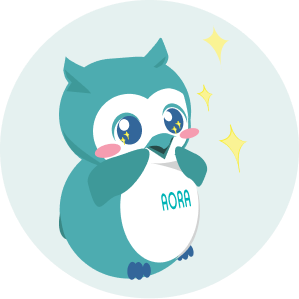 In the event that AORA was not successful in fulfilling part or all of an order, AORA will refund the customer with only that part of the order. For more details, please refer to 7.3 below. Only payment via the site or otherwise as stated by AORA will be accepted. Customers are required to compensate us for the cost of storage of said item, shipping charges, storage charges, duties and taxes incurred by us, and all claims, damages, fines and expenses incurred if the shipment/item is seen as prohibited, dangerous and/or illegal. We reserve the right to dispose of said item in any manner desired if payment of all charges within thirty (30) days of notification has not been made. We reserve the right to change the selection of payment gateway providers on AORA at our discretion, at any point in time. (d) you have provided all information we require in connection with your registration, and that accurate and complete information has been provided. You shall ensure that items purchased from merchant's websites are not articles prohibited by the country of origin and/or the country of destination. You grant us the right to disclose specific information as required by any applicable law, the direction of a statutory regulator or stock exchange, or pursuant to a court order. You acknowledge that incomplete or erroneous information provided by you or your Merchant may result in loss or delay in the delivery of your item. We reserve the right to dispose of the item in any manner we deem fit without being liable to you, if we are unable to process your item within thirty (30) days of the shipment being received at the AORA address, for any reason. You shall be liable to us and keep us indemnified at all times from and against all demands, claims, action or proceedings by whomsoever made and against all damages, costs, charges or expenses (including legal costs on an indemnity basis) incurred, suffered or sustained by us in connection with the AORA service performed for you. We will notify you of the amount you have to pay for shipping charges, customs clearance charges, GST or other service taxes (if applicable) and any other applicable charges as referred to in clause 3.5. As much as possible, we will try to prevent you, the customer, from buying prohibited items. However, some prohibited may inevitably slip through our checks and will become available for purchase on AORA. It is thus on the onus of the customer to check and ensure that items being bought are not prohibited by the country of origin and/or the country of destination as mentioned in 4.2, 8.1 and 8.2. AORA is an e-commerce platform that allows customers to order products from any merchant in supported countries. We are not a retailer or reseller of the merchandise ordered. As we are not the retailer or reseller or merchant, all orders are fulfilled on a best-effort basis. This means that we will do our best to fulfil all orders made on AORA. However, ordered items may sometimes become unavailable (out-of-stock / back-ordered / large price changes / other restrictions etc) when AORA is buying from the relevant merchants. For such items, we will refund only the part of the orders that was not fulfilled (including any service fee, shipping charges and FX charges). We are also unable to fulfil certain items due to restrictions by the merchants. For example, items or shipping rates from Amazon Prime, video-on-demand or other downloads as these would violate the Terms & Conditions of the respective merchants. The quality of the product(s) and the accuracy of the claims are the responsibility of the manufacturer of the product(s). We do not warrant, represent or guarantee the quality of the product(s) or that the claims made by the manufacturer are accurate. To the full extent permissible by applicable law, we disclaim all warranties (whether express or implied) including but not limited to, that the product(s) will meet your function and/or requirements or be fit for a particular purpose. We advise customers to purchase only from reputable merchants and sites. We shall not be responsible for any loss or injury or damage incurred thereby. AORA does not guarantee that any cancellations, returns, refunds or warranty will be successfully accepted by the merchants. You acknowledge that import of controlled items require the approval from the relevant customs authorities or any controlling authority. Items requiring approval from the relevant controlling authority or customs authorities will be detained by the relevant customs authorities. You will be notified to obtain an import licence from the controlling authority or customs authorities concerned. Upon presentation of the licence and payment of any charges to the relevant customs authorities, the item will be released to you. You agree to abide by these terms and conditions at all times and ensure that items purchased from the merchants’ website(s) are not articles prohibited under any law in force in the destination country and the country of origin. The broad categories of prohibited items include but are not limited to explosives, poisons, flammable items, radioactive material, compressed gas, corrosive, firearms and any items which by its nature of packing may expose our employees or contractors to injury or cause damage to other items. We may, at our sole discretion, but are not be obliged to open and inspect, for any reason, any item in the shipment. We shall take all reasonable precautions to prevent unauthorized persons from having access to the product(s) and shall also take all reasonable precautions against loss of or damage to the same during the delivery to you. Our liability is limited to amounts specified in the AORA terms & conditions. v) from the quality of the product(s) that you purchased. You may link to our home page, provided you do so in a way that is legal and is not likely to damage our reputation or take advantage of it, but you must not establish a link in such a way as to suggest any form of association, approval or endorsement on our part where none exists. This Site must not be framed on any other Site, nor may you create a link to any part of this Site other than the home page. We reserve the right to withdraw linking permission without notice. During our relationship with you, we may collect personal data from you. Examples of types of personal data we may collect include your name, contact details, mailing and delivery addresses, birthday, network and device data (including your IP address and device), your shopping behaviours, facial image, voice recording (for customer service calls) and any other personally identifiable information which you have provided us in any forms you may have submitted to us, or in the course of any other forms of interaction between you and us. If you have provided us with personal data relating to a third party by submitting such personal data to us, you represent to us that you have obtained the consent of the third party to provide us with their information for the respective purposes. Please ensure that all Personal Data submitted to us is complete, accurate, true and correct. Failure to do so may result in our inability to provide you with the products and services you have requested. As each country has differing laws, by accessing this website both we and you agree that the laws of the Republic of Singapore, without regard to the conflict of laws principles thereof, will apply to all matters relating to these terms and conditions. We and you accept and agree to submit to the exclusive jurisdiction of the courts of the Republic of Singapore in respect of any dispute or difference arising out of and/or in connection with these terms and conditions. Email Address Resend verification email? Enter your email address below and we’ll send you the password reset link. Enter your email address below and we’ll send you the verificaiton email again. Your final invoice will only be available once all your packages have reached our warehouse. This is done to accurately weigh all packages and provide you with the correct shipping fees, service charge and final invoice. If AORA overestimates your shipping costs we will return you the difference once we have calculated the actual shipping costs. For more details, please view our help page. AORA guarantees that we will not charge beyond the quoted price to you reflected on the checkout page. Should the acutal shipping costs be higher than the estimated shipping costs stated in your quote, we will absorb the difference. If you would like to make a change to your order, feel free to connect with our customer service team on our Contact Us page. Please bear in mind that any changes made to your quote may cause a delay in the preparation of your quote of one working day. You can only have one pending order at a time. Check your pending order in Orders page.